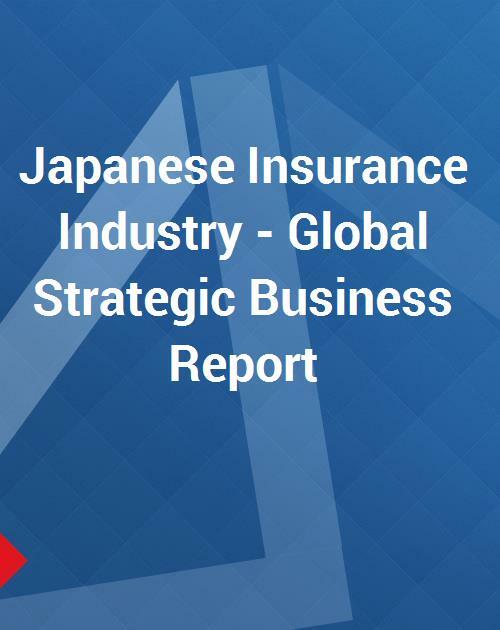 The Japanese Insurance Industry Report provides insightful analysis, market overview, industry structure and outlook of life and non-life/ general insurance industries in the region. Richly laden with quantitative analysis, the report provides the reader with a rudimentary preface to the Japanese insurance industry. A synopsized discussion offers preludes to reinsurance and other insurance markets within the non-life insurance sector, such as health, automobile, property, fire, accident, catastrophe and pet insurance. The closely summarized Japanese market report is designed to offer a broad, macro level picture of trends, regulatory/legislative environment, insurance associations; and recent mergers & acquisitions, and strategic corporate developments witnessed by the industry. Also provided is a compilation of recent past/ historical perspective of the country’s insurance market, corporate developments, and market facts & figures of the industry. The report examines the leading companies’ footing in insurance markets at regional level, along with their annual written premiums and/ or market shares. Regional key and niche players briefly discussed and abstracted in the report include Asahi Mutual Life Insurance, Dai -ichi Mutual Life Insurance, Meiji Yasuda Life Insurance, Millea Holdings, Inc., Tokio Marine & Nichido Fire Insurance Co., Ltd., Mitsui Sumitomo Insurance Company, Ltd., Nippon Life Insurance Co., Sompo Japan Insurance Inc., and Sumitomo Life Insurance.